Robust shredding heads: Ergonomically placed control panel with push buttons for forward / stop / reverse and optical indicators for the operational status of the shredder. 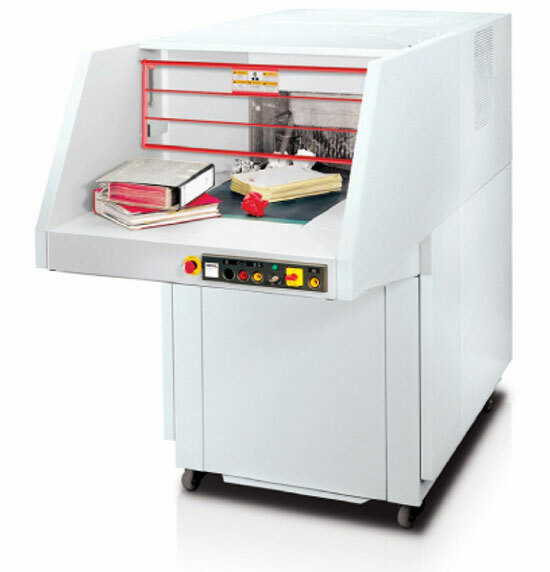 Shred trolley: The door on the rear side of the shredder is electronically secured and allows safe and easy removal of the shred trolley. Conveyor belt system: By using the conveyor belt system the output of the shredder can be doubled (removing of the full plastic bag is not necessary).